Current representative: The current representative for the 28th House District is Rep. Lori Stone (D-Warren). The 28th District covers a portion of the city of Warren and the city of Center Line. 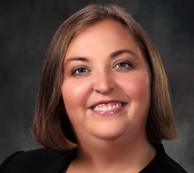 According to her official website, Stone is a third-generation educator and a member of the Michigan Education Association and Fitzgerald Education Association. Rep. Stone was first elected to the Michigan House in 2018, taking office in 2019. She defeated an incumbent House member in the 2018 primary. A map of the 28th House District is available here. Rep. Stone raises money through a candidate committee, Committee to Elect Lori Stone. Campaign finance reports can be found in the Michigan Secretary of State's campaign finance database.